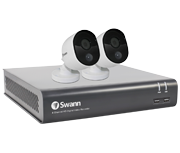 This high quality Swann CCTV kit includes two bullet and two dome True Detect thermal-sensing cameras, providing more reliable recording. High quality HD 1080p resolution recording and playback. 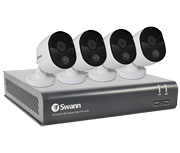 Includes 2 x PRO-1080MSB heat sensing bullet cameras. 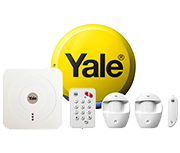 Includes 2 x PRO-1080MSD heat sensing dome cameras. Enhanced infrared LED night vision up to 40m.